View More In Dessert Spoons. 100% natural mother of pearl material, hand made. Simple and elegant suitable with delicate the taste of food like caviar. Good decoration in your kitchen and table Good idea gift. 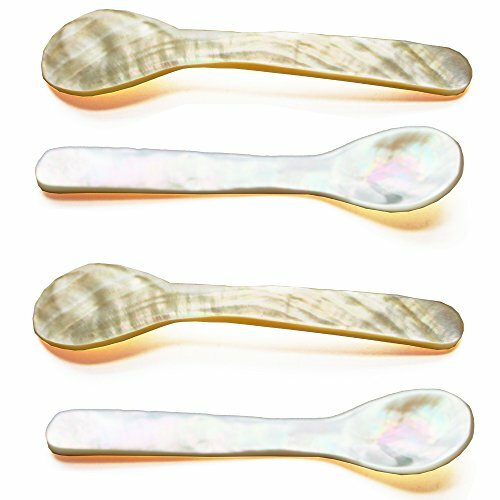 Package includes 4 natural mother of pearl spoons. 100% natural mother of pearl material, hand made. Not dishwasher safe. Wash with caution. Each spoon is 3.5 inch in length. If you have any questions about this product by Alt2day, contact us by completing and submitting the form below. If you are looking for a specif part number, please include it with your message.